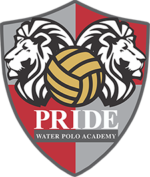 Jack Kocur is the Co-Founder of Pride Water Polo Academy. In addition, Jack was the USA Men’s National Team Assistant Coach and the Head Coach of the Oaks Christian Water Polo Program. Coach Kocur brings a professional history that highlights his capability to build successful teams at every level of competition. Prior to cofounding the Pride Water Polo Academy, Jack served as the Director of Operations for the Men’s Water Polo Team at the University of Pacific. Kocur also served on staff for the USC Trojan’s and helped the team win their 5th NCAA Championship in a row. Kocur was the Head Coach of the Pepperdine University Men’s Water Polo Team for six years. In 2008, he was named MPSF Co-Coach of the Year as the Waves went 21-7 overall, earning a No. 2 national ranking. 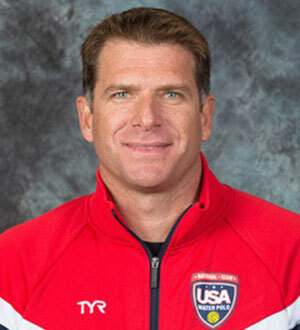 Coach Kocur also has a history of success at the USAWP Age Group level. He was the co-founder and owner of the Waves Water Polo Club and won three different age group championships over a three-year period. As a player, Kocur was first-team NCAA All-American and a member of Pepperdine’s 1997 NCAA National Championship team. He was also a member of the USA Men’s National Team for over six years. Jack resides in Moorpark, with his wife Jodie and three children: Camden, Sadie and Savannah.